This guide should be read in conjunction with these standards as it provides additional explanation on each section. 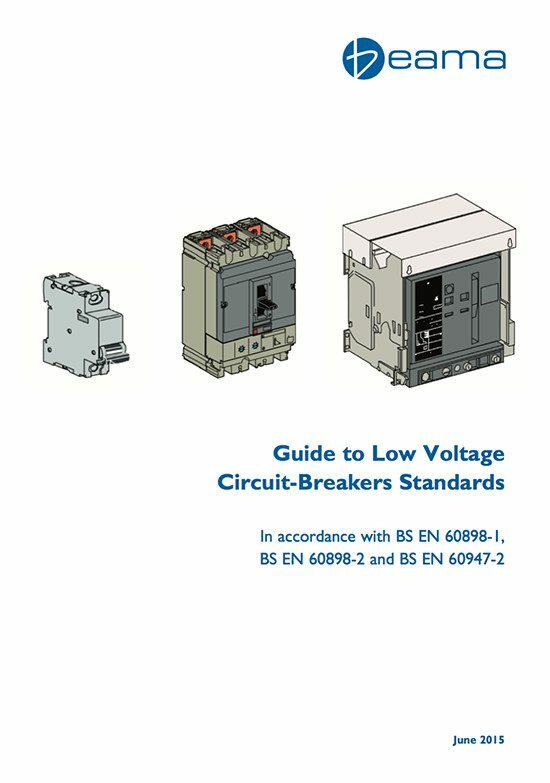 This guide has been produced by BEAMA’s Industrial & Single Phase Product Group, and explains the characteristics of low voltage circuit breakers for use in industrial and household and similar installations, which fall within the wide scope of BEAMA’s Industrial & Single Phase Product Group. 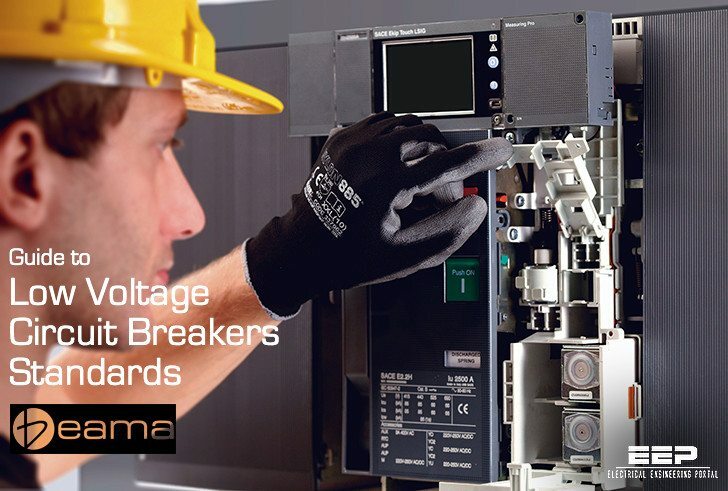 MCBs to BS EN 60898 are suitable for operation by ordinary persons and have fixed protection settings, generally a two position on/off operating handle and a performance relative to the final circuits in an electrical installation. They would normally be the final overcurrent protection measure in the electrical system, for example before sockets or lighting circuits. Typical current ratings are from 0.5 A to 125 A. Short circuit ratings may be up to 25 kA. Performance and testing is in accordance with BS EN 60898 for domestic and similar applications categorised by the trip characteristic types B, C and D.
MCBs may also be available with application specific tripping characteristics. MCBs may also be rated in accordance with BS EN 60947-2 for industrial or similar applications. MCCBs may have fixed or adjustable protection settings, normally a three position toggle operating handle giving on-off-tripped indication plus reset function, and a performance level relative to the incoming supply such that they can be installed at a point close to the supply transformer. Typical current ratings are from 16 A to 1600 A though ratings up to 3,200 A are available. Short circuit ratings may be up to 100 kA. Performance and testing is in accordance with BS EN 60947-2. ACBs are normally used as the main incoming protection and have a spring-operated mechanism to open and close the device often charged by an internal motor. The protection settings will include time delays and the devices will have a short time withstand value to give full discrimination under fault conditions with downstream protection devices. Typical current ratings are 630 to 6,300 A. Short circuit ratings may be up to 150 kA. Performance and testing is in accordance with BS EN 60947-2.